In case you haven’t heard, the leafy green kale has been the darling of veggie nutrition, but now? Move over kale..there is a new kid on the nutrition block called ‘Seaweed.’ Actually, seaweed isn’t so new, at least to the Asian cultures. They’ve known the importance of edible seaweed as it has always been a staple of their diet and it shows with their health, vitality and claiming some of the longest-lived cultures on earth. Seaweeds come in red, brown or green varieties and are all forms of marine algae. Some familiar common names are kelp, nori, kombu, wakame and arame. Don’t be shy, be adventurous instead and give seaweed a try! Seaweed is one of the most nutrient dense sea vegetables on the planet – it’s actually 60 x’s more potent than any land based vegetable. Seaweed efficiently combines the energy of the sun and absorbs all the minerals, nutrients and water from the sea creating one of the most powerful nutritional sources available. Brown varieties such as kelp and wakame, followed by red seaweed, (which includes nori that sushi is used for) are the most nutrient dense.Seaweed is one of the most nutrient dense sea vegetables on the planet – it’s actually 60 times more potent than any land based vegetable. Seaweed efficiently combines the energy of the sun and absorbs all the minerals, nutrients and water from the sea creating one of the most powerful nutritional sources available. Seaweed can help promote weight loss. According to a study from the University of Newcastle, a compound in seaweed (even a small amount of seaweed) can help block fat absorption that would otherwise lead to weight gain. 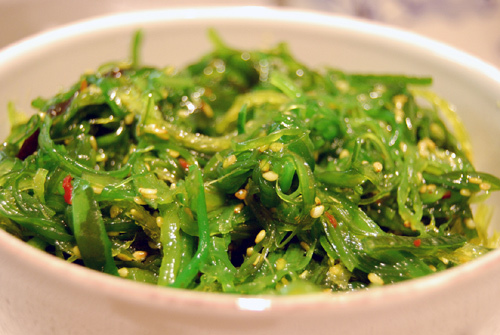 Seaweed helps control your appetite. It is high in fiber that turns into a gel that slows the digestive process making you feel fuller longer. 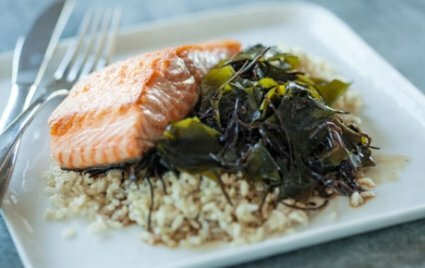 Seaweed is a great source of omega-3 fatty acids that reduces all-over inflammation including fat cell inflammation that leads to weight gain. Seaweed is rich in iodine which, actually, is the nutrient the World Health Organization says 2 billion people worldwide are deficient in. Iodine, specifically from kelp, facilitates the passage of nutrients directly into the mitochondria which is the powerhouse of the human cell for natural energy. It also helps to nourish the thyroid gland and maintain good thyroid balance. Iodine helps to stabilize the heart rhythm, lowers serum cholesterol – that’s the bad cholesterol, lowers blood pressure and attaches itself to insulin receptors and improves glucose metabolism that may help to balance blood sugar which is great news for people that have diabetes. 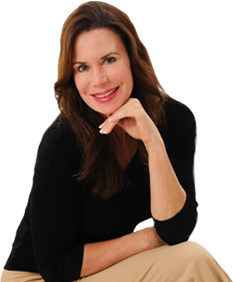 The reason we are deficient in iodine is we used to get our iodine from salt – iodized salt – but since so many medical experts have told us to eliminate salt from our diets, 74% of the U.S. population is now deficient in iodine and 2 billion people worldwide are deficient. And, recent scientific analysis reveals that many commercial table salt brands now contain inadequate amounts of iodine for optimal health.And, Kosher and sea salts don’t contain any iodized salt. Seaweed stimulates immunity, is a powerful antioxidant and assists with the formation of hormones. It also may support healthy vision, skin, hair and mucous membranes while promoting bone growth. It helps in releasing energy from carbohydrates. Fun Tip: Did you know that seaweed can grow as fast as 1-2 feet per day? That’s how powerful and nutrient dense seaweed is. Finely chop or snip dried seaweed into mashed sweet potatoes, pasta dishes, stews and casseroles. Add to already prepared superfoods such as sautéed kale or spinach – no one will ever know its there. Seaweed is also sold as noodles ‘Kelp Noodles’ that have virtually no carbs and a great flour noodle replacement for those on a low carb diet. Add seaweed to your diet where you can and no matter which type of seaweed you choose, you’ll be adding nutritional value that will put you on the path to optimal health.